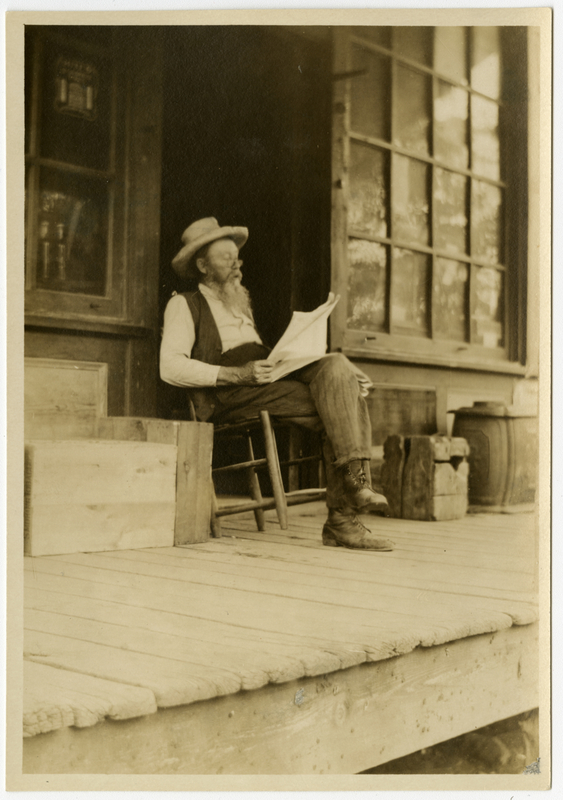 A white man rocks in a chair on a porch reading a newspaper. A number of crates and boxes are on either side of him on the porch. Johnson, Clifton, 1865-1940, “When trade is dull: the country storekeeper,” Digital Amherst, accessed April 22, 2019, http://digitalamherst.org/items/show/5141.